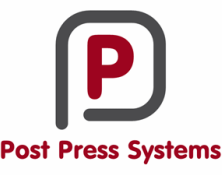 Post Press Systems are launching a flat bed Die Cutting and Creasing machine throughout the UK & Ireland. This Automatic Sheet-fed Flat Bed Die-Punching and Creasing Machine is designed to handle even the most intricate and detailed designs at an affordable price. With a focus on reliability and high precision die punching machine this machine is the perfect answer to meet the growing demand of medium and large format printers as well as packaging units.